Nails inc's product line is formulated with the latest professional technologies, boasting a portfolio of more than 150 colours and special effects. Known for catwalk colour, fashion collaborations, innovative special effects, immaculate professional manicures and pedicures..
"Primrose Street" is a unique, iridescent shade. Stay ahead of the nail game this season with this limited edition range of fashion forward iridescent shades. The unique holographic sheen is easy to wear and provides a stellar finish. Apply one coat of Superfood NailKale Base Coat to clean, dry nails. Apply 2 coats of your chosen Nail Polish. Finish with one coat of 45 Second Top Coat. Launching 15 years ago, the once small British brand was founded by young entrepreneur Thea Green. After travelling to the US whilst working as Fashion Editor at Tatler, Thea spotted a gap in the UK market for professional high quality manicures and a more fashion forward range of products for women with little time. Nails inc has become an award winning nail brand famous for catwalk colour, fashion collaborations, innovative special effects and immaculate professional manicures. With nail bars all over the UK, Nails inc is now the UK's number one nail bar chain. Nails inc's top team of technicians regularly work with A-list celebrities and fashion designers including Victoria Beckham, Alexa Chung, Poppy Delevingne and backstage at the hottest events across the globe from high profile shows at London and New York Fashion Week to the MTV EMAs. 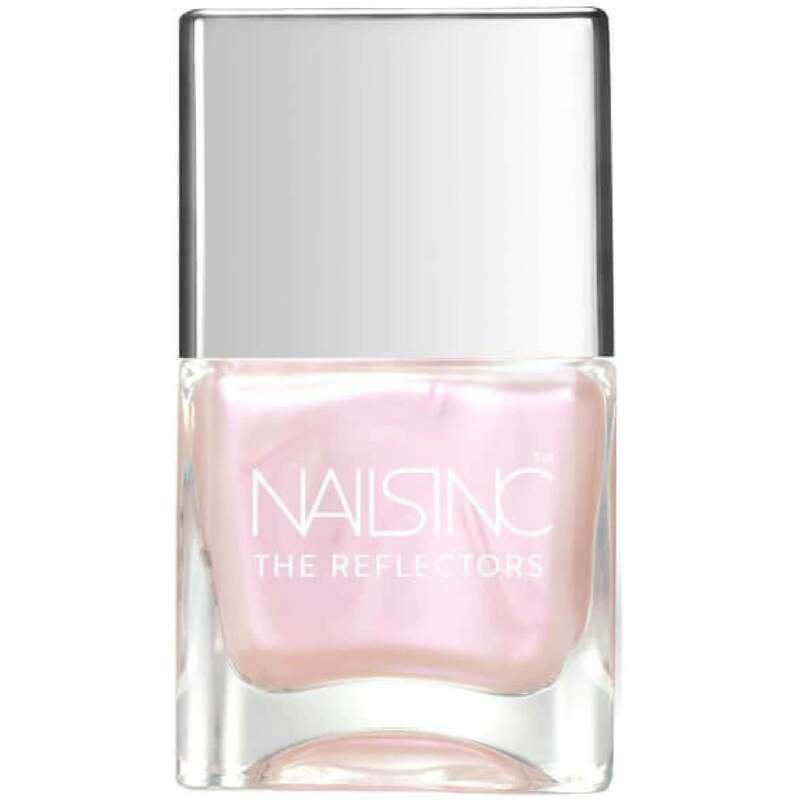 Showing our 2 Nails inc The Reflectors Nail Polish - Primrose Street (8657) 14ml reviews with an average rating of Excellent. Would you like to write a review? This polish is just as nice as the swatches you see online. Amazing iridescent pink colour. Will need 3 coats to be fully opaque, but you could probably get away with 2 if you're not too fussy about it. Beautiful holographic colour. Pink pearl. Lovley. Careful with application as straking may appear.